Color-block your way to style with the Kasi Hip Bag! Gorgeous faux suede in chamois, black, latté and brilliant green comes with matching long strap—and the interior is lined with adorable black with green polka-dot fabric. FUN SHAPES AND TEXTURES FOR ON-THE-GO STYLE! Our specialty bags come in all kinds of shapes and sizes and are perfect for anytime you want to travel light. 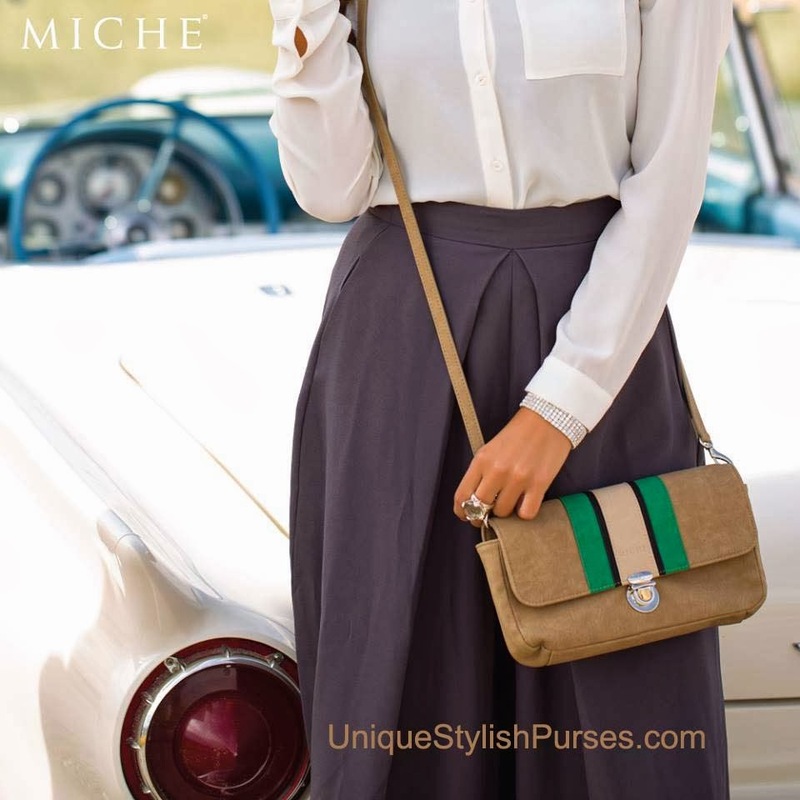 It’s Miche-style fun—with a little bit of attitude!